Nero is Storm in a Teacup’s first game and they describe it as a first person puzzle / visual novel. Does Storm in a Teacup’s first outing hit all the right notes? 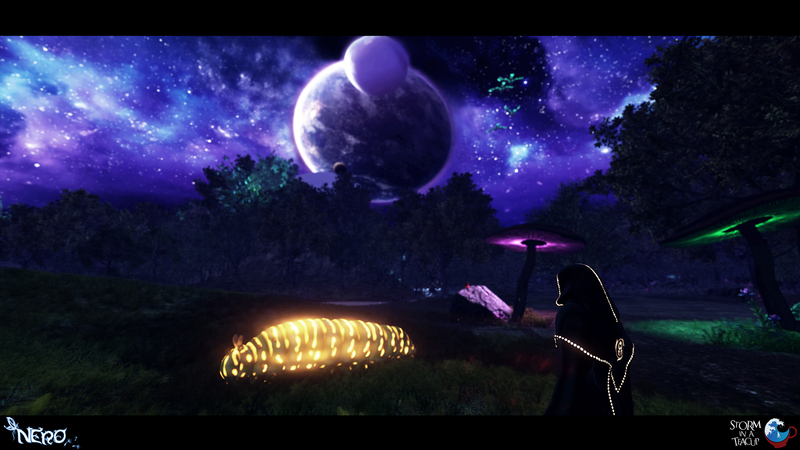 Right from the word go, you can tell this game is visually stunning. The colours are vibrant, the environment is enchanting and even the wildlife are beautiful in their own weird way. Even in the dullest areas of the game, there are still pockets of bright, neon colours, which really make the visuals pop. When I started up the game, watching the opening cut scene made me smile. I really thought I was in for something really special. That feeling soon dissipated when I got off the boat and began to control my character. I decided to look around at the amazing environment and my disappointment began. The frame rate seems extremely low especially when looking around with the right analogue stick. I started to move my character forward and the movement was unbearably slow. A few minutes went by whilst I was walking through the first little town area before a tip popped up on screen advising you can run with RB. Unfortunately, even with the aid of an unlimited run the pace was still too slow. You spend vast majorities of your time just “running” in between puzzles, so the game really could have done with some extra movement speed. Other than running around you gain the ability to make these orbs of light which you can fire in front of you to unlock doors, activate switches etc and a little further on in game you gain another hooded figure who acts as your companion who you can direct to stand and move wherever you want them to, to help solve the puzzles. During your time exploring you will need to look out for little picture frames which act as your collectibles in Nero. Each picture frame contains a fragment of a picture which symbolises the story being told for that particular area. Something that Nero is brilliant at is telling a story. It isn’t full of plot twists or shock moments, but right from the beginning I was hooked. If you want to hear all of the story, then you’re going to have to complete all of the puzzles the game has to offer. 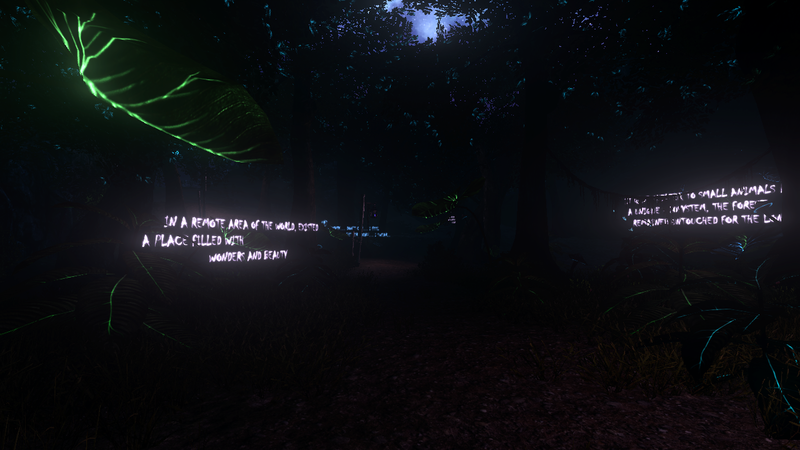 Throughout the game you will encounter floating paragraphs which feed you bits of information filling in the story for you. After most puzzles are completed the Narrator will further expand on the story, making a great experience and one of the more original storytelling ideas. I really enjoyed reading these floating paragraphs. The game is split into 4 different areas for you to explore and even with you searching high and low for every collectible and completing all the puzzles, you’ll be very lucky to get more than 3 hours worth of gameplay. Considering the current price, that does not equate to much bang for your buck. As far as the achievements list goes, if you find all the collectibles and solve all the puzzles you will pretty much complete the list. The only exception being an achievement which requires you to play the Hospital level on a Thursday for a specific meal to show up in the canteen. Nero shows a lot of promise. It’s storytelling was superb, the visuals were stunning especially considering this was a self-published first outing for Storm in a Teacup it is just a shame the gameplay couldn’t match those standards. It is too difficult to look past the annoyingly low frame rate and tedious gameplay. Add to that how short the game is and it leaves you feeling disappointed after expecting so much in the beginning. 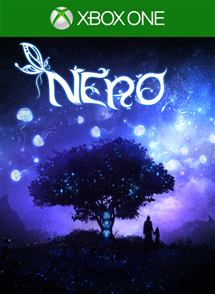 Nero is definitely an experience worth playing through to experience the story, but if you need some satisfying gameplay, look elsewhere or wait for a price drop.